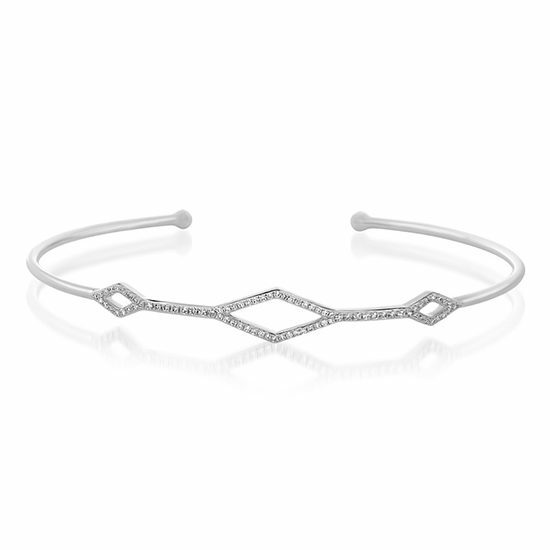 The Triple Kite Diamond Bangle is a staple item for the New York Fashionista. Elegant and feminine, this bangle looks great worn on its own, or stacked with other bangles. 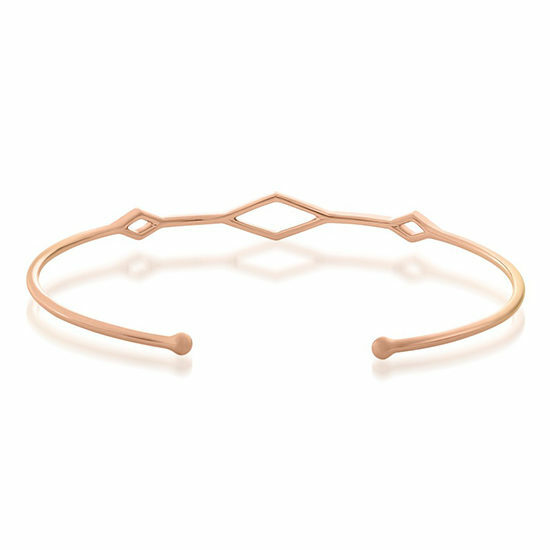 Available in 14k white, rose, and yellow gold. 6.35mm width, 2.50 inches in length. Ships In: Please allow 2-5 weeks to ship.